Little Italy is one of the oldest Italian restaurant in Kota Kinabalu, very popular among the locales and oversea travellers since year 2000. The restaurant is run by the Caresa family from Ivrea of Italy, well known for their delicious Pizza and Pasta. At Little Italy here you are never short of choices, there are over 50 types of Italian food on the menu! 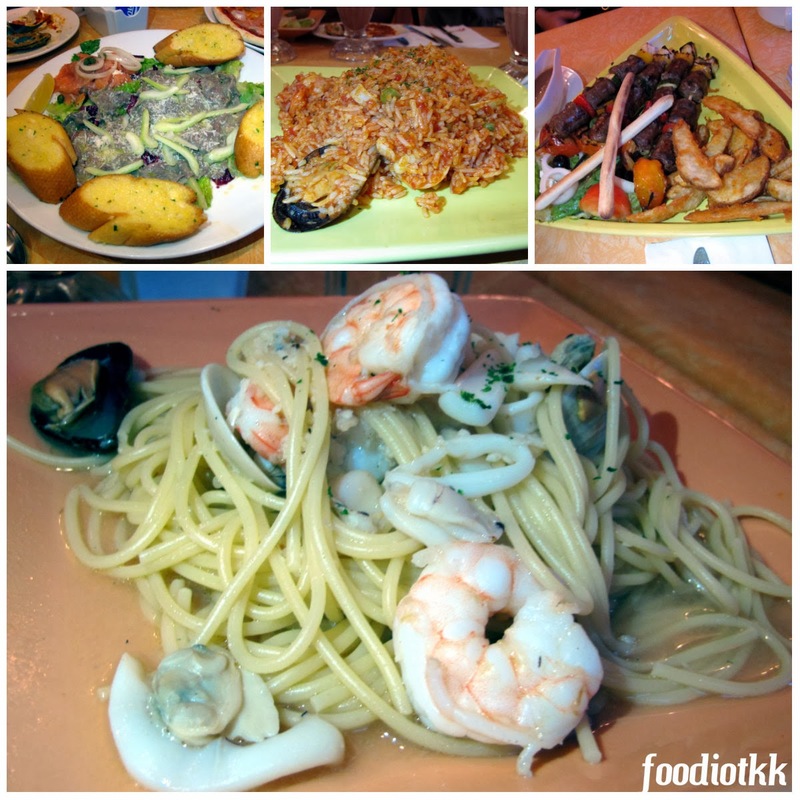 Furthermore the restaurant's owner Mr. Luciano and wife always adding new Italian dishes on the menu! Rest assure, authentic Italian recipe is committed here and you will not find any Asian food on the menu, haha! 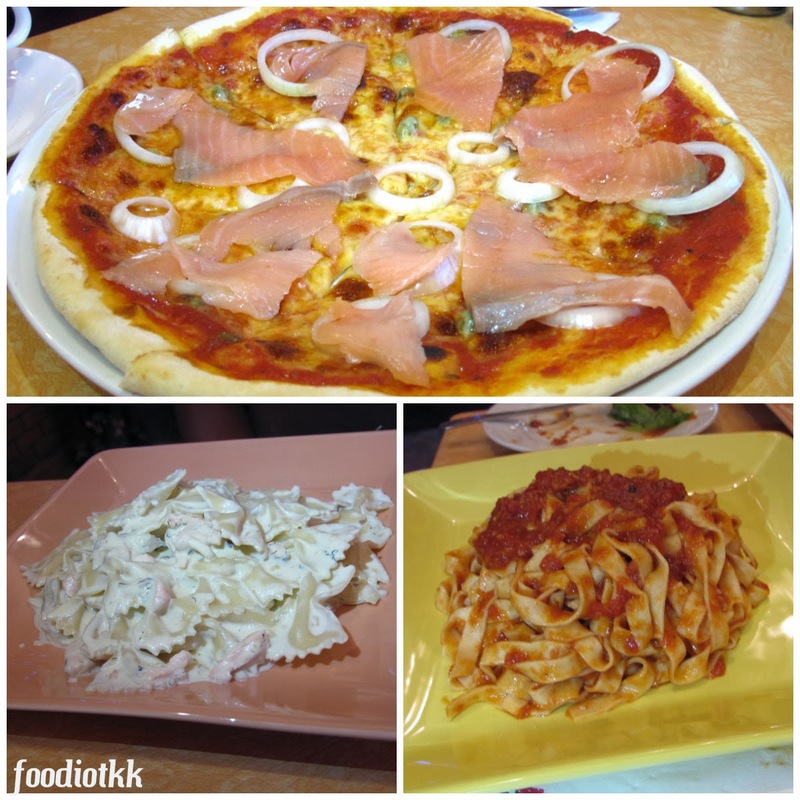 Little Italy is offering more than 10 types of pizzas here, and many many types of pastas! 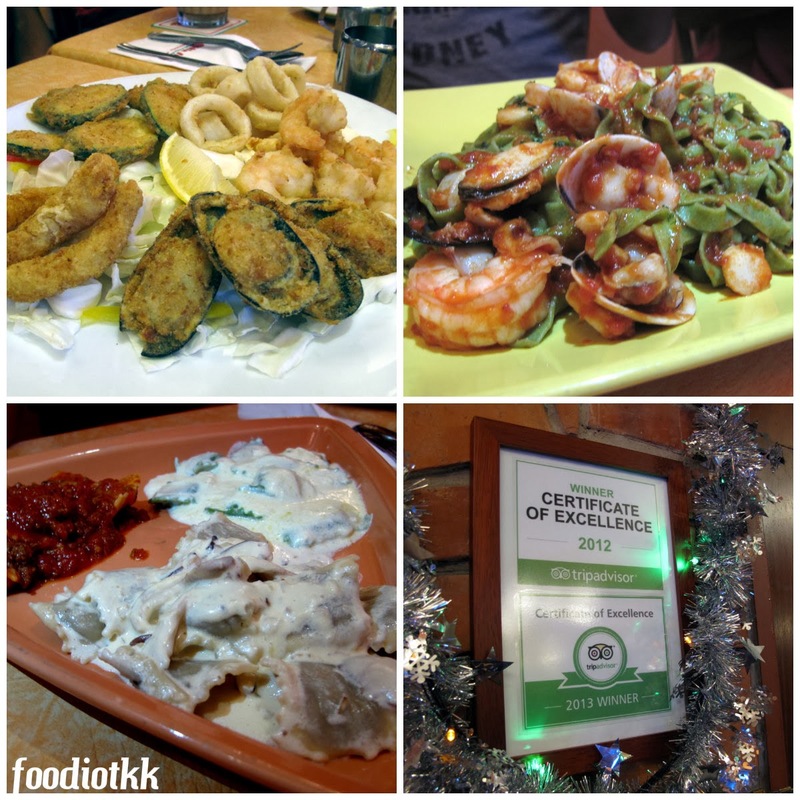 Clock-wise from top-left: Frittura Mista di Pesce (Seafood Fried Platter), Fettuccine Verdi Agli Spinachi (Fettuccine made of spinach) in Marinara Sauce (Tomato-based seafood), Certificate from Tripadvisor, and the Triple Pasta Platter. BTW Little Italy made all the pastas and sauces at their own factory in KK to make sure the freshness of the pasta and food ingredients. I think this place is over-rated too. I had the most chewy trio-raviolis the other day. The messed up my choice of fillings-pasta type as well. Try Aroma in Damai along Tong Hing. They serve decent Italian food with less arrogance.